Happy Cinco de Mayo! I’m anticipating seeing tons of fabulous Mexican inspired recipes today and I’ll be making a few of my own. 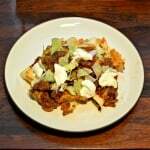 However, I wanted to share one of my newest Mexican recipes and Cinco de Mayo seemed like the perfect time. It’s one of my husbands favorite types of pizza yet I’ve never made it for him at home. So in order to celebrate Cinco de Mayo I made him a taco pizza. Have you ever had taco pizza? It’s pretty popular and I’ve seen it made many different ways. My school even serves Mexican pizza every other week and the kids love it. The school only puts sauce, ground beef, and cheese on their taco pizza but the kids all buy it. My husbands favorite Taco Pizza came from a popular pizza restaurant that stopped serving it years ago. 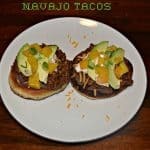 It was made like many Taco Pizzas are with refried beans in place of the sauce, then layered with ground beef, cheese, lettuce, and tomatoes. 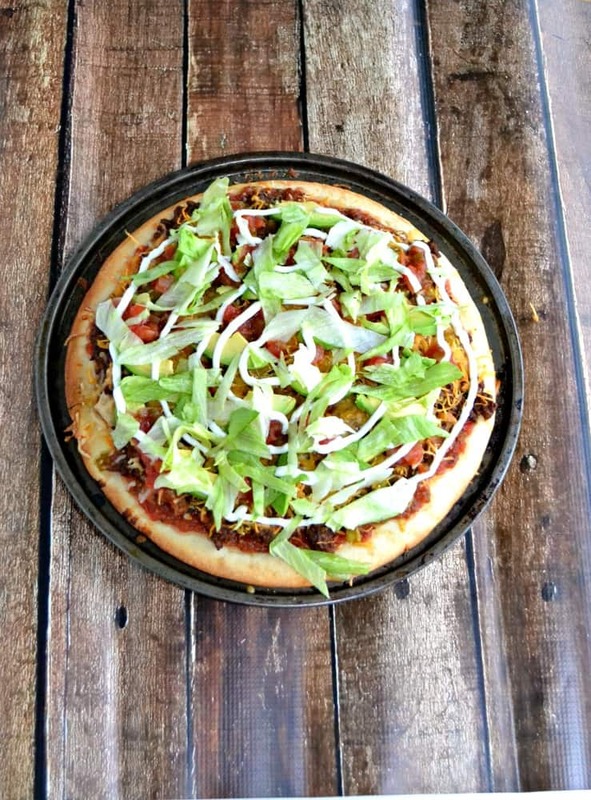 When searching for a Taco Pizza recipe most of the ones I found started with refried beans as the base and built it from there. I wasn’t a fan of that. When I have a pizza I like to have my sauce on top of the crust. So what did I do? I chose a Mexican sauce that everyone loves…salsa! 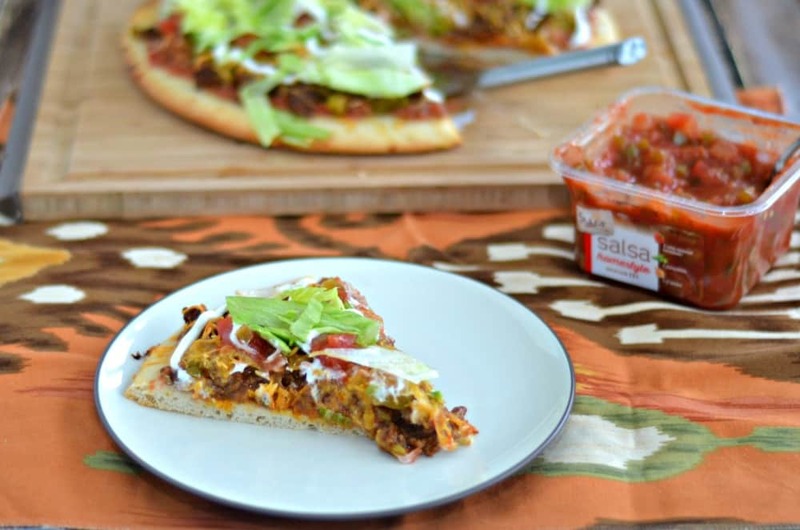 In fact, my Taco Pizza recipe uses not one but two different Sabra Salsas. I used the Sabra Restaurant Style salsa as the sauce on my pizza because it’s smoother and thicker then most store bought salsa which makes it perfect to use as a sauce. After putting the salsa “sauce” on my pizza I built it from there with refried beans, seasoned ground beef, cheese, chilies, avocado, sour cream, lettuce, and Sabra Homestyle salsa. I must admit this is a heavy pizza. It was piled higher then I thought it would be but that just made it even more delicious. The salsa was great as a sauce and the beef was perfectly seasoned. My husband and I both enjoyed the spice that the green chilies added to the pizza. I wanted my finished pizza to look pretty so I actually put the sour cream in a baggie, snipped off the end, and piped circles around the pizza which looked great. The fresh, crisp lettuce was put on last and totally brightened up this pizza. Normally when we make pizza it serves 4 people but I need a side dish to fill everyone up. That isn’t the case with this pizza. The crust and ground beef make it filling plus the vegetables on top add a fresh flavor to the pizza. 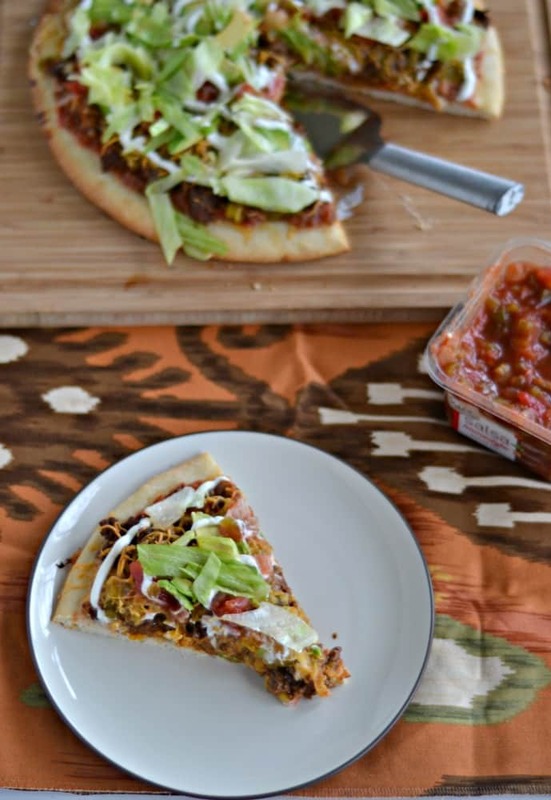 This is a fabulous pizza for Cinco de Mayo, Mexican fiestas, or just as an easy weeknight meal. Plus, if you want to try to make it for yourself simply go to www.sabralove.com to get $1.50 off of Sabra salsa! 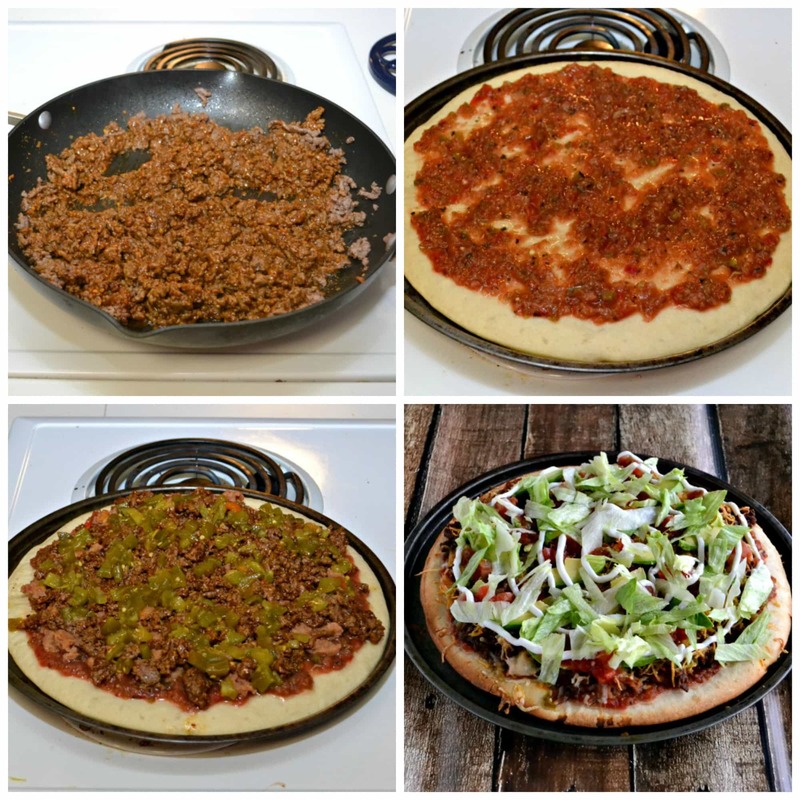 Taco Pizza made with a thick salsa "sauce" then topped with ground beef, refried beans, cheese, and fresh vegetables. Preheat the oven to 450 degrees. Place the pizza crust on a pizza pan and bake for 5 minutes. Meanwhile, place the ground beef in a skillet over medium high heat and brown. Add ¼ c. of water and the taco seasoning and mix well. Remove the pizza crust from the oven and spread it with the Sabra Restaurant Style salsa. Drop the refried beans by teaspoon all over the pizza, on top of the salsa. Spread the ground beef mixture on top of the refried beans and salsa. Sprinkle with the shredded cheese. Spoon the green chilies over top of the cheese. Bake the pizza for 12-15 minutes or until the cheese is melted and the crust is browned. Remove from oven and arrange the avocado slices on top of the pizza. 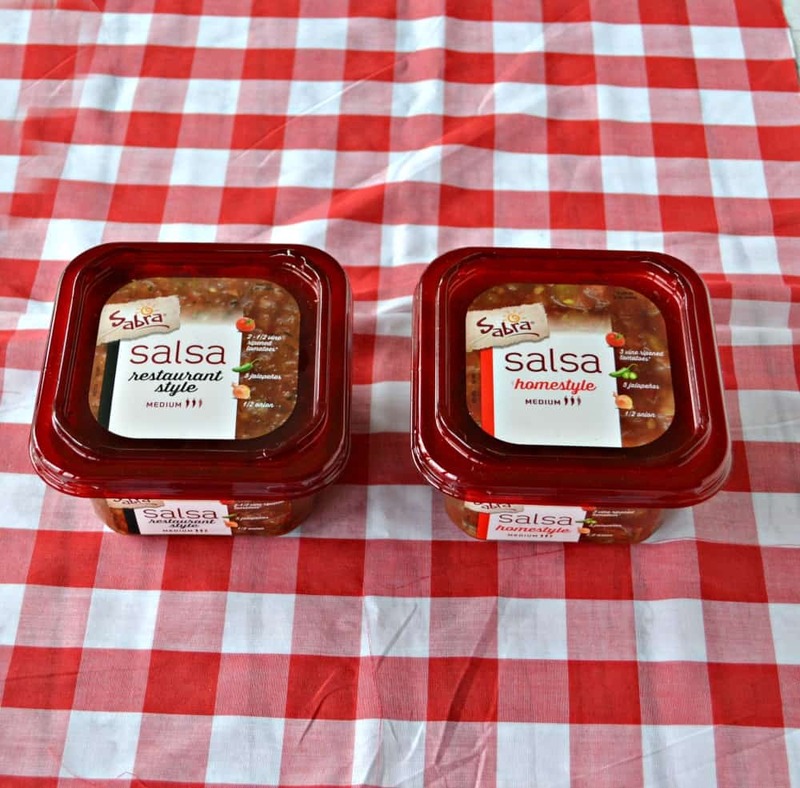 Drop teaspoons of the Sabra Homestyle Salsa on top of the pizza. Place the sour cream in a zip top baggie, snip off the end, and pipe it in circles around the pizza starting in the center and working your way to the edge. Spread the lettuce over top of the entire pizza and enjoy! I have partnered with Sabra as part of their Tastemakers Panel. I have been compensated for my recipe, however all opinions are entirely my own. 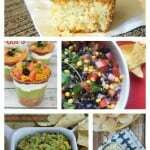 « 20 Cinco de Mayo Recipes that will make you say Olé! 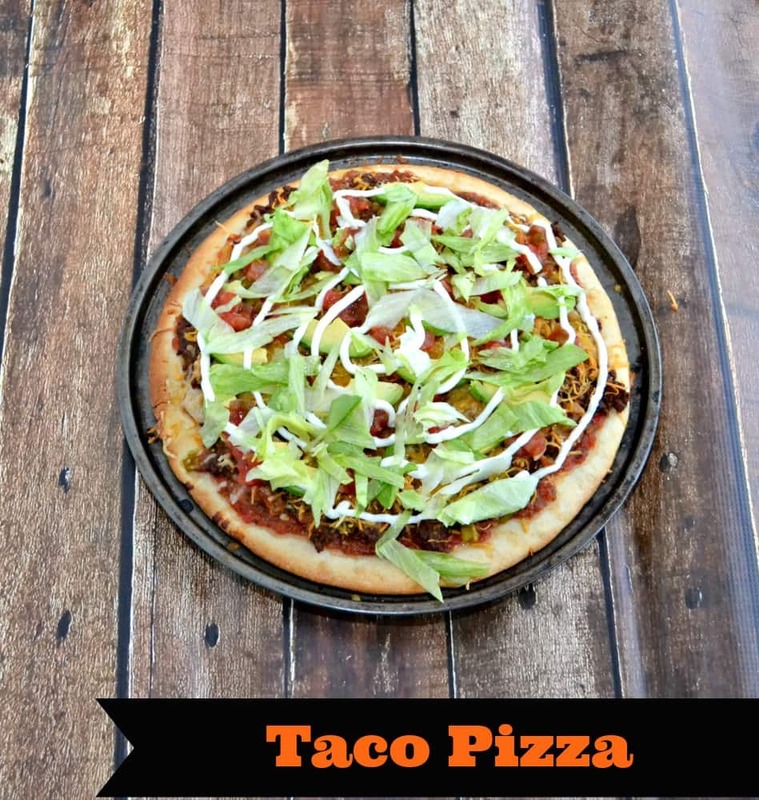 We love taco pizza, but have never made it at home. Looks good, will have to try it! Best. Pizza. EVAH! I’ll be making this on far more days than just Cinco de Mayo. I can tell you that! Yummy, I love taco pizza bit haven’t tried making it at home. I like the idea of having a semi healthy meal. those veggies count for something. My mouth is now watering and it’s only 10 in the morning. I’m pretty sure this is going on my menu. I love taco pizza, but my husband doesn’t, so I will have to have someone over to help me eat it. Sounds amazing. I can’t wait to try this salsa too! It was SUCH a good pizza. We ate way more then we should have but it was just too good! That looks yummy! My family loves pizza and tacos, but I never tried mixing them together. I will try this tonight. 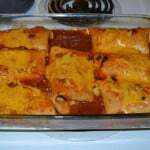 I am not crazy about refried beans, so this looks like a great option to try out! Looks very delicious and awesome! I am a big fan for pizza, but I never tried pizza at home. You have given easy and yummy pizza recipe here. Will definitely try this for sure. Thanks a lot for sharing this delicious recipe.